Truth be told, I've never taken a rest day before on a bike tour. There were a few days on my cross-country trip last summer when I didn't ride because I was taking a bike leadership class in Missoula, and there was another day I didn't ride because I was visiting with Jake's family in Minneapolis. But these weren't actual "rest days" in my mind. Neither my legs nor my body have felt tired yet on this trip. I tend to be of the frame-of-mind that as soon as you stop moving, your body becomes sore. 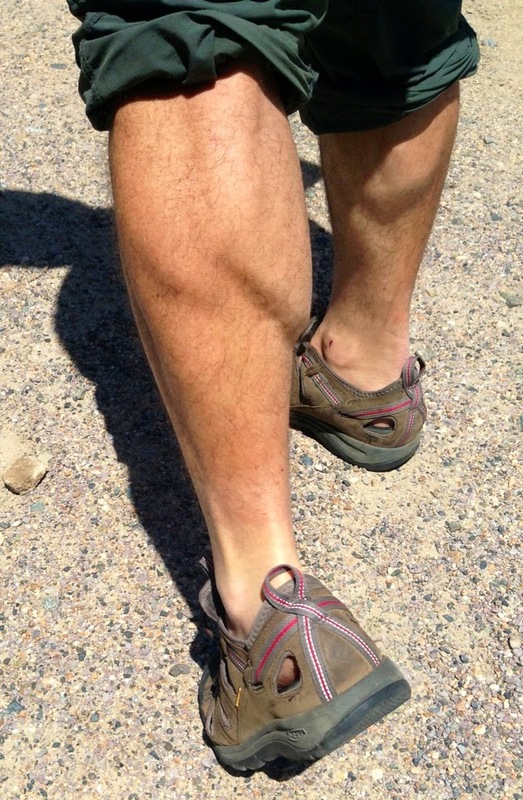 And so, of course, I'm curious how a day off will affect my legs. Now that we've reached Lake Isabella, we have officially finished one of our five maps for the trip. We're making progress! 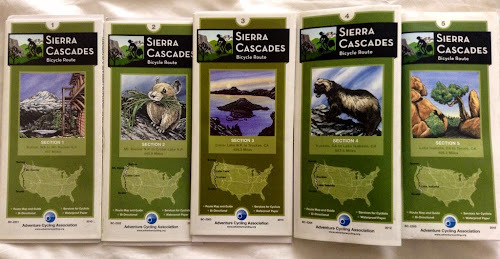 The map set for the Sierra-Cascades route. I'm not getting great vibes about Lake Isabella, the town where we're laying over for our rest day. Our bicycle map indicates that there are three motels in town. We passed one motel on the way into town; it was all boarded up. 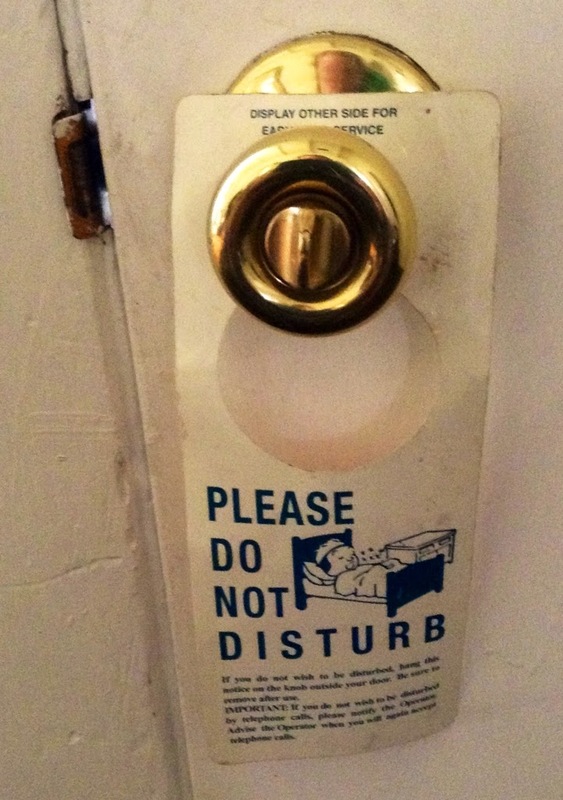 The second motel appears to be a pay-by-the-hour establishment. The third and final option is where we're staying. There's an air conditioner in the room, but it's the old-school type that requires an open window to function. The fan is in the ceiling above where my bike and belongings are being stored. The fan is constantly spiting droplets of moisture onto my bike and belongings below. Alex says not to worry about it, as it's clean water. Sure, it might be clean, but when I stand under the fan and look up, there are runny, dirty water stains on the ceiling. As long as it's not bird or rat pee, I suppose I probably won't die. This is it for the locks! It's the wimpy type of lock that you would put on an interior bathroom door. I'm glad I'm not staying in this room by myself. To be honest, I'd feel far safer staying in my tent. 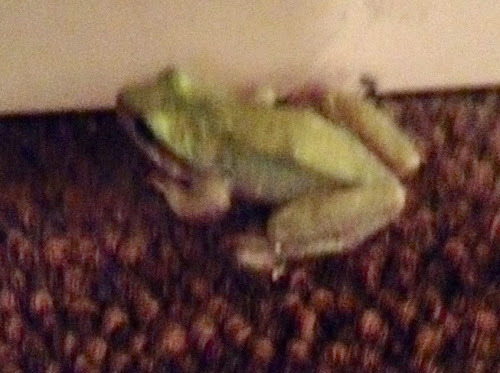 Oh, and our motel room comes with a cute little frog. The little cutie, hopping along the baseboard. I'm fine camping out in the wilderness and going days without showers, but I'm not as cozy in motel rooms with..."character"...such as this. Call me high maintenance, if you'd like. 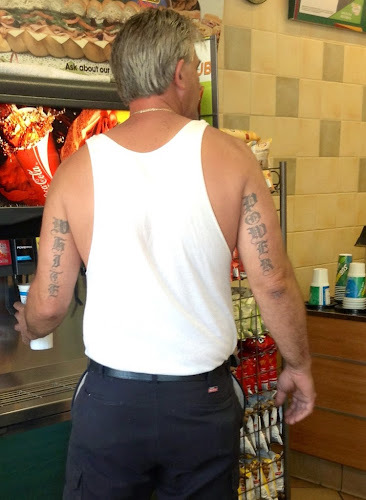 This dude's tats are not of the warm'n'fuzzy variety. 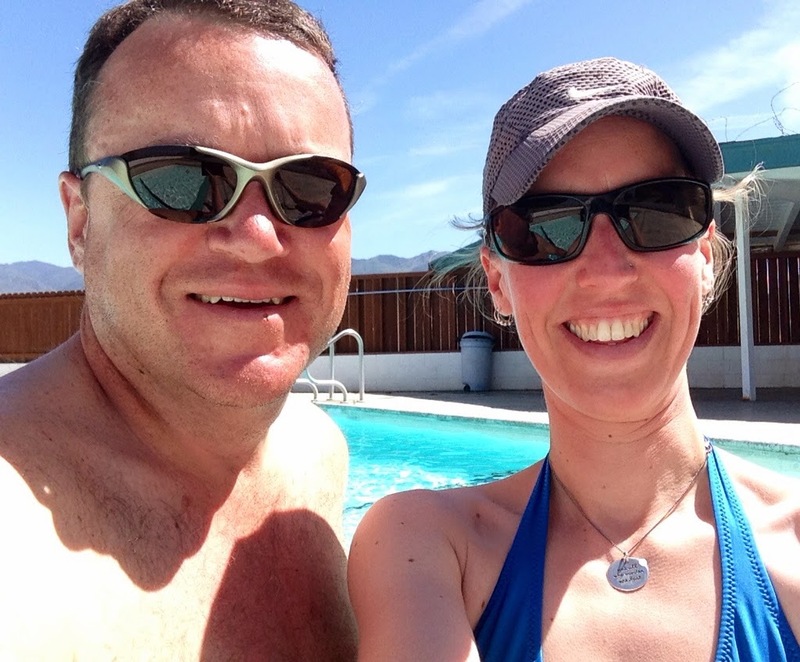 After running our errands in the late morning, we spent some time swimming in the outdoor pool. Notice the luxurious barbed wire atop the poolside shelter. We couldn't figure out how the water could possibly be so cold when the air temperature was so warm. Is there such thing as a cooled motel pool? Enjoying the mid-chest deep dip. After the pool, I spent some time drawing, I began teaching myself a few Turkish phrases (because knowing Turkish can always come in handy), and then I cleaned my drivetrain. It was beautiful watching the sunset color the unique cloud formations over the nearby mountains. A partially lenticular-looking cloud, off to the east. The clouds off to the northeast. The clouds to the northeast, a few minutes later, colored by the setting sun. 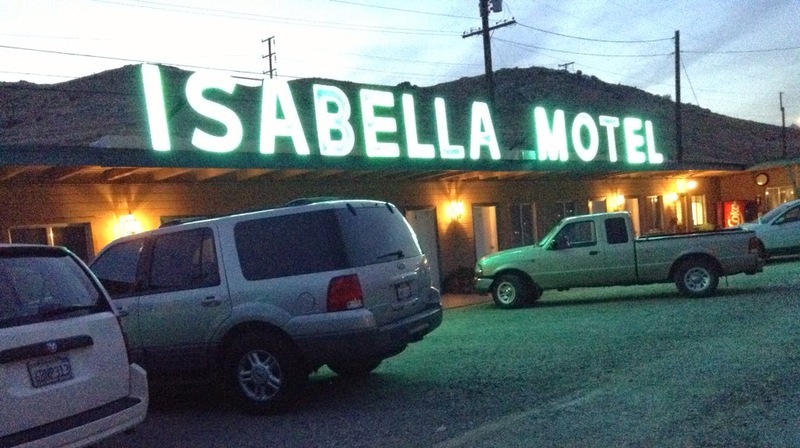 Goodnight, Isabella Motel. Thanks for enabling us to rest. We're all set to get back on the road tomorrow!